BUCHAREST, ROMANIA - SEPTEMBER 14, 2017. Pringles Original potato chips, small package of 40 grams. 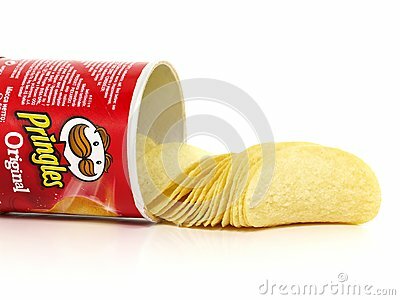 Pringles is a brand of potato snack chips owned by the Kellogg Company.